With 30 million new active users every month, it's safe to say that WhatsApp is going nowhere despite the challenge from from Asian instant messaging services like KakaoTalk and WeChat. Here are 10 tips that will help you unlock some of the best WhatsApp features, turning you into a WhatsApp pro. The read-receipt, also known as the "blue ticks of doom" have resulted in many friendships being destroyed by a late reply. "You saw that message FIVE hours ago and didn't have the decency to reply!" Do note that you won't be able to see if others have read your message if you go down this route. You win some, you lose some. Don't want people to know when you were last online? Well, this is a fairly simple change to your privacy settings. If you don't share your last seen, you won't be able to see other people's last seen. As of WhatsApp version 2.12.94, there is no way to hide your online status. To get around being seen online, you can disconnect from the Internet before reading your messages and connect back to the Internet after you're done. You sneaky devil. Now the roles have reversed - what if someone you've messaged is giving you the cold shoulder or making excuses that they haven't received your messages? The blue check marks are the easiest way to call their bluff. If you see two blue check marks next to your sent message, then the recipient has read your message. In a group chat or broadcast message, the check marks will turn blue when every participant has read your message. 1. Open a chat with a contact or a group. 2. Swipe your message from right to left. 3. Alternatively, tap and hold on your sent message and choose the "i" button from the menu above. Delivered - when your media is delivered to your recipient's phone, but the recipient has not yet seen it. Read or Seen - when the recipient has read your message or seen your picture, audio file, or video. WhatsApp relationships - they're complicated. It's best to download video and audio only when you're on Wi-Fi. Pictures can go either way but if you get lots of them, then turn off the auto download. For even more impressive stats, check out WhatStats available for free on the Android Play Store. If you want to know if your crush is actually interested in you or how popular your messages are with your group WhatStat will provide you with insights on who starts the most conversations, which days you are the most active and at what time you have sent the most messages. Images sent via WhatsApp appear in your phone's album, together with pictures sent via SMS, those downloaded from the Internet as well as the ones taken with your phone's camera. 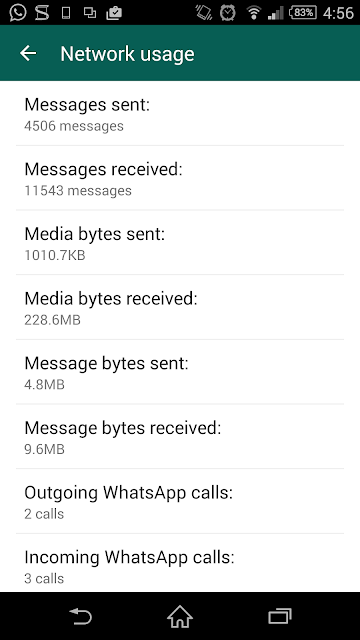 If you get a lot of WhatsApp images, they might crowd out your images from other sources. Or they may be private and you don't want anyone snooping around your phone to easily find them. On Android phones, it's a little more tricky. You will need to create a file with name .nomedia in the WhatsApp images folder. To do so, you could either connect your phone to your laptop, or use a File Explorer application on your phone. This way, photo-viewer apps will know not to trawl your WhatsApp images folder. 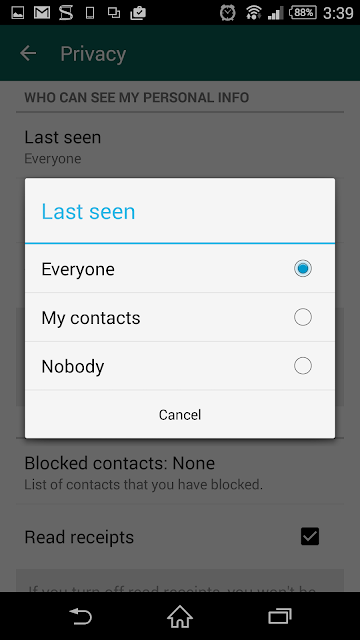 You can now decide to share your details with everyone, only your contacts, or nobody at all. Unfortunately, it's not possible to keep your phone number hidden at this point in time apart from spoofing with a fake phone number. Just bought a new phone? That's great... we're really happy for you. Unfortunately, WhatsApp conversations are tied to the phone rather than the SIM card or phone number. In other words, all the chats with your friends and group chats are stuck in your old phone. When you install WhatsApp on the new phone and run it for the first time, all your existing conversations will be recreated - however, there'll be no prior history in the chats. You'll be starting on a clean slate. 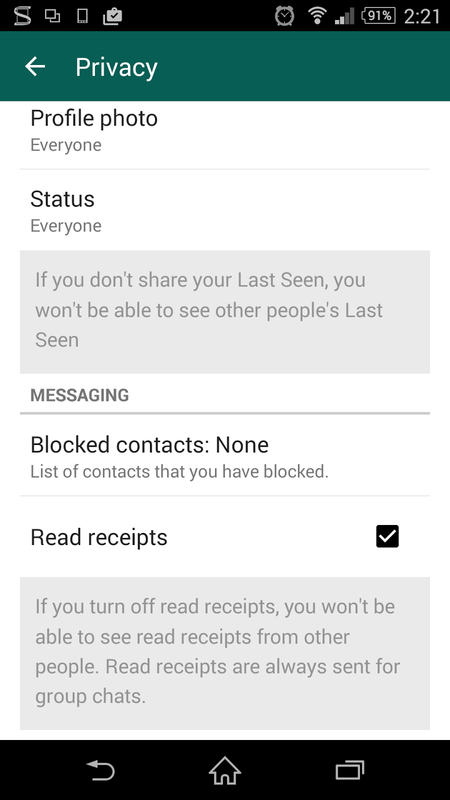 If your chat history is precious to you, here's what you can do to bring it over to the new phone. 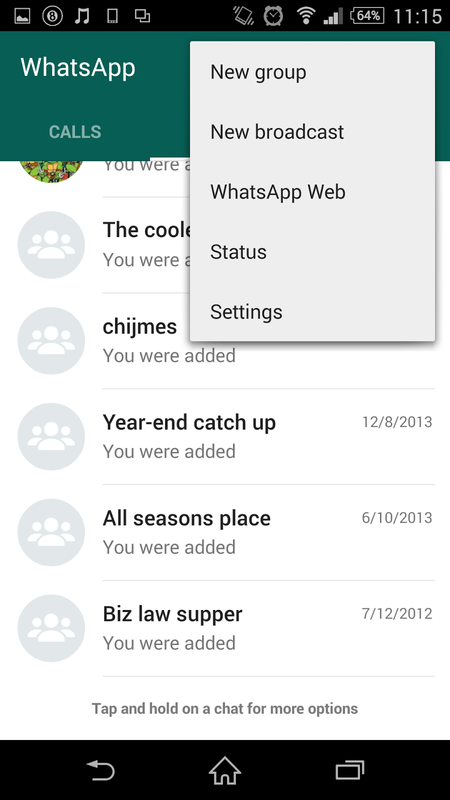 Go to File manager >> WhatsApp Folder >> Databases on your old Android phone. Copy all the backup files to your PC. Place these files in the same location of your new Phone and restart WhatsApp. You'll now be able to see your old conversations on your new phone! Unfortunately this only works for Android phones. As we mentioned in point 8, WhatsApp is tied to the phone rather than the phone number when it comes to receiving and sending messages. However, if you want to use the broadcast feature, you'll need to change the phone number listed. Did you know that WhatsApp comes with a Bcc function? For those of you not familiar with Bcc, it stands for Blind Carbon Copy, which allows the sender to conceal the person(s) that a message was sent to. It comes in really handy when sending out invitations and you don't want people to know who else got the invite. In WhatsApp, this function is called "Broadcast". Create a broadcast and select all the recipients that you want to send the message to. They'll each receive an identical message and be none the wiser that 267 other people got the same message. The only catch is that the recipients need to have your WhatsApp phone number in their address book. And so there you have it - our top 10 tips that will have you using WhatsApp like a pro. We hope you found this article useful and that it answered some of the burning questions you had about WhatsApp. I must appreciate the effort put on by you while writing this post. These hidden whatsapp features are simply amazing. Thanks!